Mark Webber fears that he may be left without KERS again in the Canadian Grand Prix - after losing the power-boost for qualifying in Montreal. The Australian's efforts to secure pole position were wrecked by the 0.3-0.4 seconds deficit that he was forced to face after his KERS malfunctioned on Saturday in Canada. And although the team still has time to fix the problems ahead of Sunday's race, Webber is pessimistic about what can be done. "It is a major headache, it is just tough for the guys, they are doing everything they can, but we cannot continue [to have problems like this]. "I think we were pretty confident of getting it fixed for qualifying on the back on FP3 for me. But I drove down the pitlane and they said no KERS – I thought, 'how the hell do you know that already if I haven't even touched anything?' We tried to get it back into life for Q3 but it wasn't having any of it." 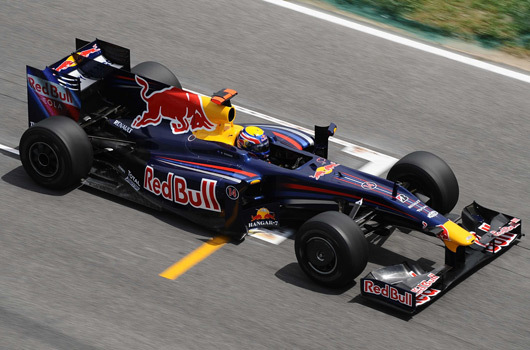 Webber says the biggest problem with Red Bull Racing's KERS is that it is so unpredictable as to when it will work or will not work – which makes it harder to find a cure to the issues it has faced. "It is incredibly unpredictable, and it is unreliable – that is a no-brainer," he explained. "Sometimes you are going okay with it, and other times we are struggling a little bit with it. It is unpredictable. "The consistency we have clearly got to get on top of it, because we have had weekends where it was very good, like the Turkish GP where it worked very well, but it is a challenge for us."